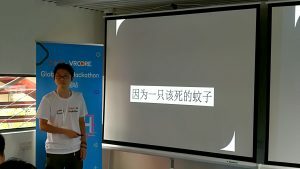 This time, the contest choose “SUPER POWER” the Hackathon topic. 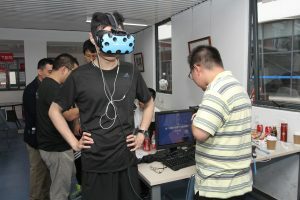 Interactive technology and equipments are provided for developers (the tracker from HTC Vive; the eye controller aGlass from 7Invensun, the gesture recognition Fingo from uSens).Developers are required to create their product by using the equipments based on the topic, and decide the interaction equipment by drawing lots. During the game, they have to push themselves to explore the interactive boundary virtual world as far as possible. Who will be the top 3 development teams? In the end of the game, we witnessed the birth of 7 demos which have high level of completeness and amazing creation ideas. Surprised by developers’ accomplishment, judges experienced a headed…..even fierce discussion for the final contest result. 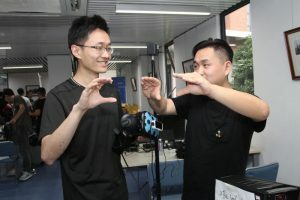 The Champaign work——< Photoelectric Effect>, produced by Chesstar Studios , selects HTC Vive Tracker for the interaction. Inspired by the rainy weather, the game need gamers to keep clapping to collect the thunder and accumulate powers. The developers make a full use of tracker in their design. It is a game with good completeness and simple operation which brings light dancing game effects and great fun to players. Team Mosquito use Fingo as the main approach of interaction. Their have completed at least 3 gesture applications within a short time. The final design is a content with and a independent game spirt inside.The details are also good enough to boost the player experience, like showing the notification when the “OK” gesture, which is the gesture for starting the game, couldn’t be recognized by system. Overall, this is an amazing VR work with great completeness and interactive features. As for the decision of the third place，controversy is existed among the judges. 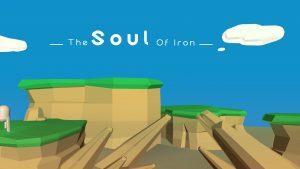 After the discussion, <The soul of Iron> developed by a two-person team and <Burnt Out> developed by SJTUGP are both selected as the second runner-up. 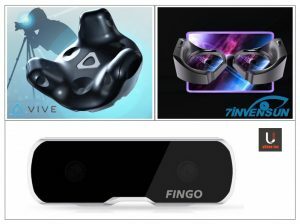 《The soul of iron》applied Fingo gesture recognition, which accomplished 3 functions including steel control，shield formation and dynamiting surroundings. It makes a full use of interaction features, but the graphic deficiency is also revealed because of the limited time. 《Burnt Out》applies aGlass for interaction. It contains a background elaboration of the story. Players need to find a special glass to cover their laser eyes without destroy the world too much. Though the game setting, developers expressed their understanding towards super power, which is super powers need to be controlled. 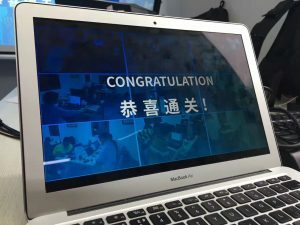 The developer the only student team from Shanghai JiaoTong University. 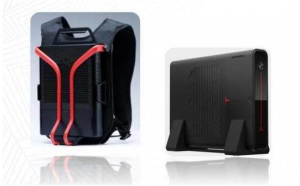 Shen Wen, the PIC of prize sponsor XuXiang, decided to add one more Avalon VR as the prize at once to encourage the student team. The flame of war is burning again，who will be crowned with victory? 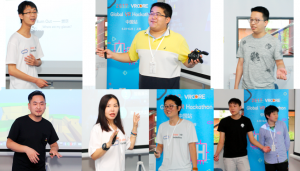 Winner of the preliminary will represent their country to attend the final Global VR Hackathon championship and compete with the worldwide VR champaign teams in August. Beside of the Avalon VR, The top 3 team can also obtain a express entry to the VRCORE Awards. Their design will directly enter the final once join the game. The difficulty and workload of hosting a Hackathon contest is completely out of the expectation. 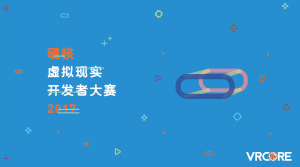 Really appreciate for the support from JiaoTong University future reality lab and JiaoTong University Science park. Because of them, this campaign for minority can be launched in the golden line of University Library. 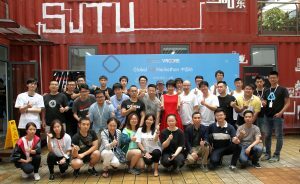 Very appreciate for the equipment & technical support and developer guidance from HTC Vive、PlayGlass、uSens. Thank Micro-Star for providing the high quality development devices. Thank XuXiang for the generous prize sponsorship. It requires lots of factors to achieve a campaign’s success. We are deeply grateful for the contributions from all the respects. Application link can be found on the homepage.